Ken Burns' Emmy Award-winning documentary brings to life America's most destructive - and defining - conflict. 'The Civil War' is the saga of celebrated generals and ordinary soldiers, a heroic and transcendent president, and a country that had to divide itself in two in order to become one. This original Emmy Award-winning nine-part series is now digitally restored to archive the highest definition for optimal picture quality. This six-disc set includes over two hours of new bonus materials including 'Making the Civil War: 25 Years Later', complete high definition Shelby Foote interviews, 'Restoring The Civil War', additional interviews, and more! The 'The Civil War' competition has now closed. Winners will be announced shortly. Competition opens at 5pm AEDT on Sunday 5th November 2017 and closes at 11:59pm AEDT on Sunday 12th November 2017. Three winners will be chosen at random on Monday 13th November 2017. To successfully win, entrants must fulfil the above entry conditions before the time the competition closes. Current members/followers are eligible to enter the competition. Only one entry per person. Only one winner per household. To be a valid winner, the entrant must not have won a prize from SWITCH within the last 28 days. Each winner will receive one Blu-ray copy of 'The Civil War'. By entering, you agree to receive occasional emails from SWITCH in the future. If you decide to unsubscribe from these updates, any further entries will not be applicable. Only Australian residents are eligible to enter. 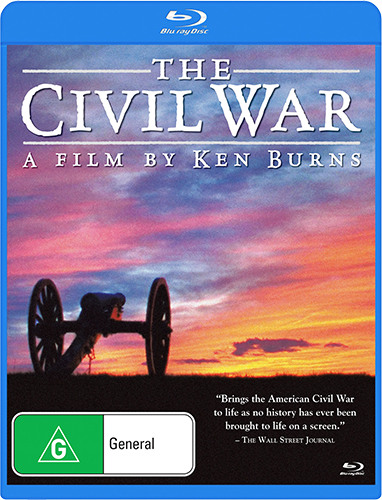 'The Civil War' is available on Blu-ray and DVD on Wednesday the 8th November 2017 from Via Vision Entertainment.